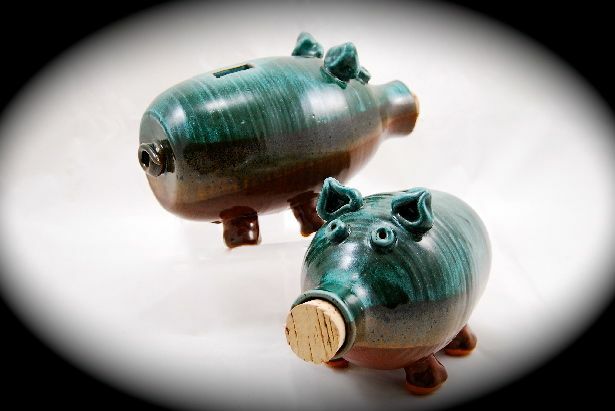 Welcome to Palm Tree Pottery. 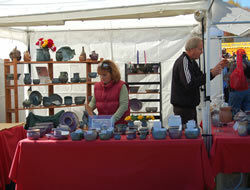 All of our pottery is hand thrown, built from slab, or a combination of both. We only use lead free glazes - this makes our pottery safe for food. 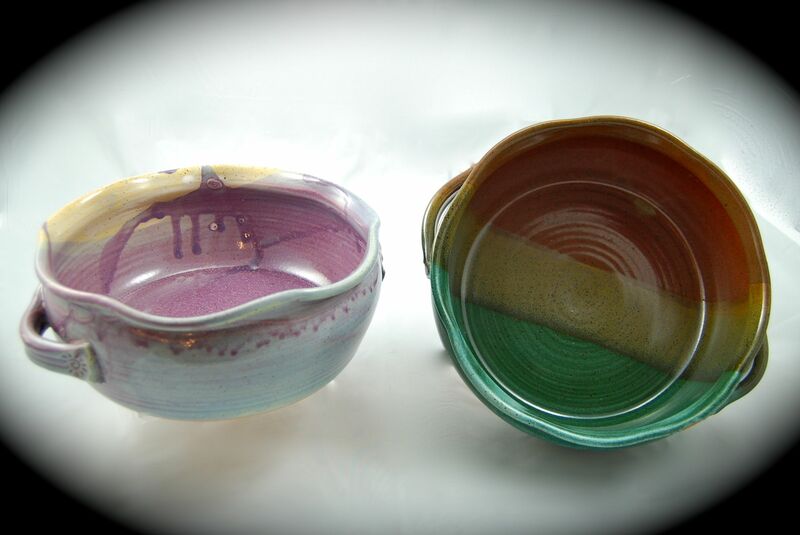 Our hand crafted pottery can be used in the oven, the microwave, and also in the dishwasher. 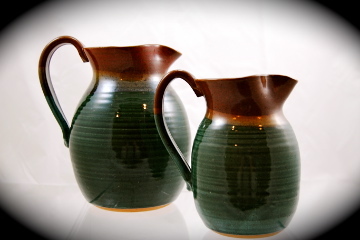 We are a family pottery shop, based out of our "garage studio" in High Point, NC. 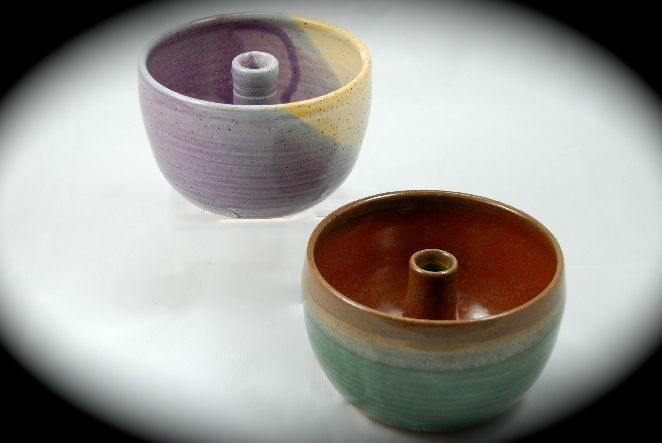 The subtle variations in the glazes after our pottery pieces have been kiln fired make each piece truly unique. 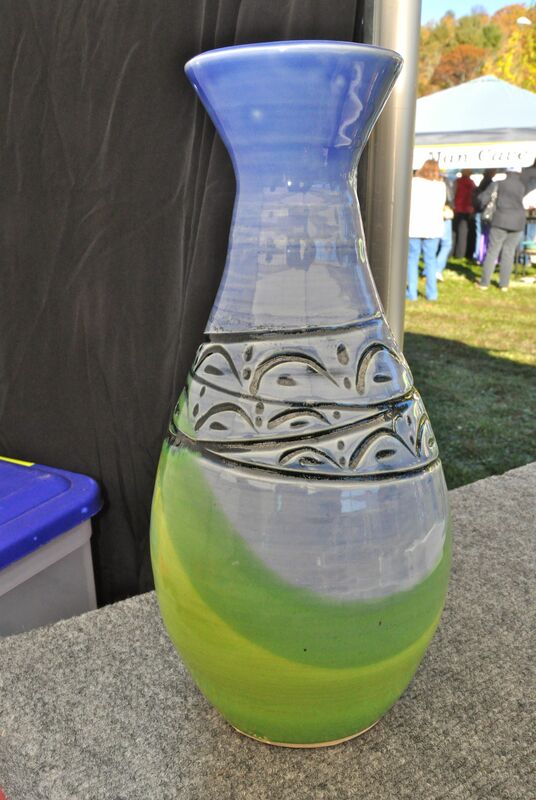 Our pottery is both beautiful and functional. 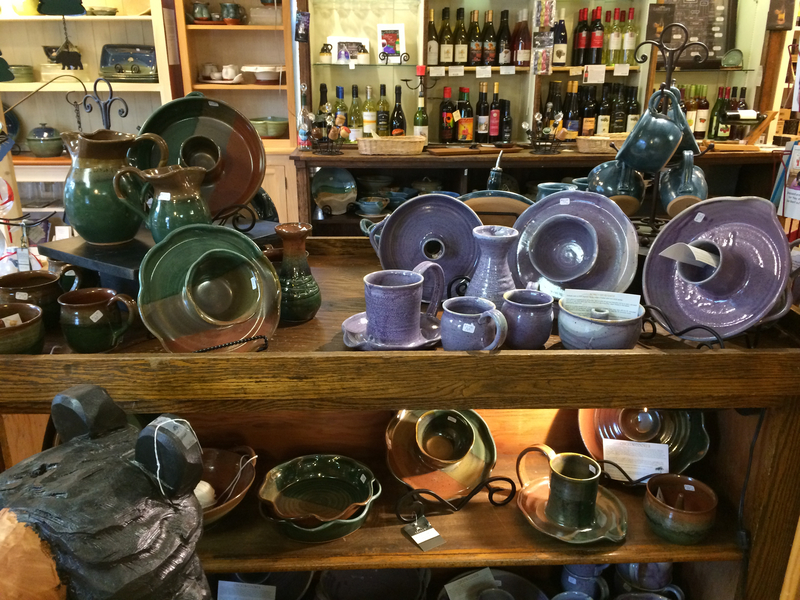 We have a variety of handmade pottery pieces to choose from, including Monkey Bread bakers, Apple/Onion bakers, Chip & Dip Platters, and many other pottery pieces. 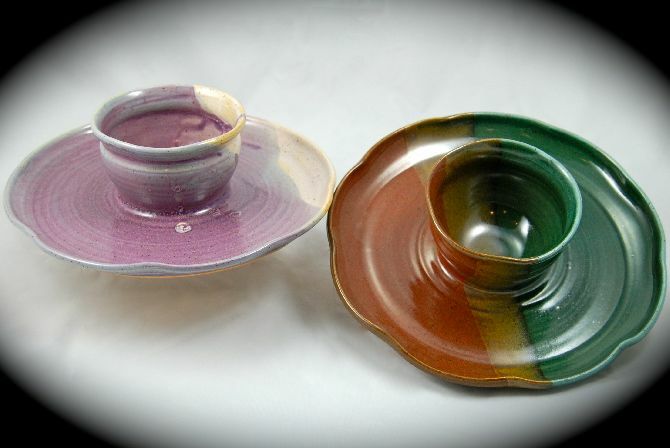 Most of our items are available in a variety of glazes. These items are samples of custom place settings and serving pieces that we can create for your wedding gifts. 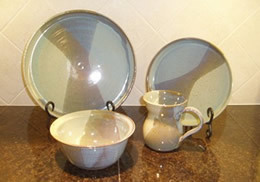 You select from available glazes and pieces and your guests can order online. 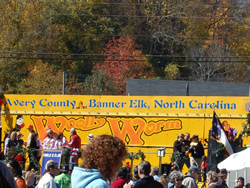 Call us at (336) 841-8933 to learn more. Planted in the house of the LORD, they will flourish in the courts of our God."